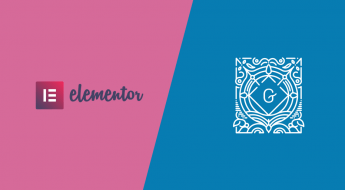 Mailchimp– old faithful in the email marketing space. A good all-around tool that’s beginner-friendly, has a free plan, and does everything pretty well. Sendy– a unique self-hosted option that can save you a ton of money if you have large lists/send a lot of emails. MailPoet– a WordPress plugin that lets you manage all of your email marketing right from WordPress. A great option if you want to keep things simple. 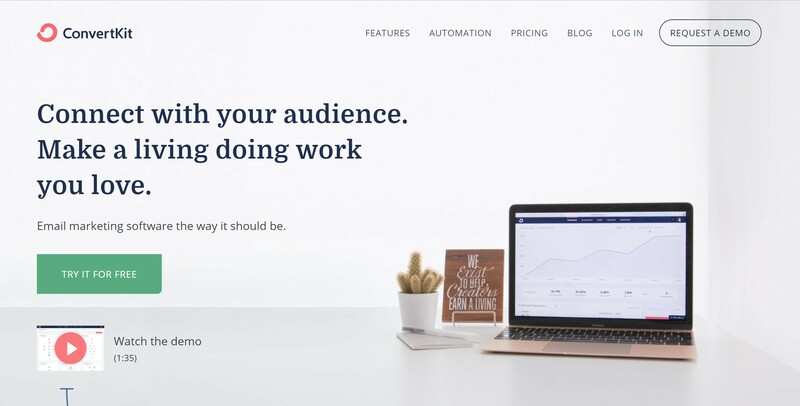 ConvertKit– focuses on creators and excels at automation. SendinBlue– another good all-around tool that also has a very detailed WordPress plugin that lets you perform most actions from inside your WordPress dashboard. While some of these tools branch out into other areas – like landing pages – we’re going to exclusively focus on the email functionality. Mailchimp is probably the name that most people think of first when they hear “email marketing software”. As I mentioned above, Mailchimp does a little bit of everything, even expanding beyond email marketing in recent times into social media and landing pages. 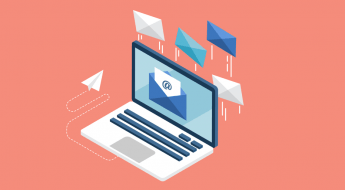 Email opt-in forms – Mailchimp can help you create opt-in forms to grow your list (if you’re using WordPress, the Mailchimp for WordPress plugin is also a great option). Drag-and-drop builder – whether you start from scratch or one of the many included templates, you can use drag-and-drop to build your emails, without the need to know HTML. Automation – Mailchimp lets you create basic automations, like a welcome series, date-based emails, abandoned cart emails, etc. Analytics – you can view all the important data for your email marketing efforts right from the Mailchimp dashboard. A/B testing – test different subject lines to find what works. 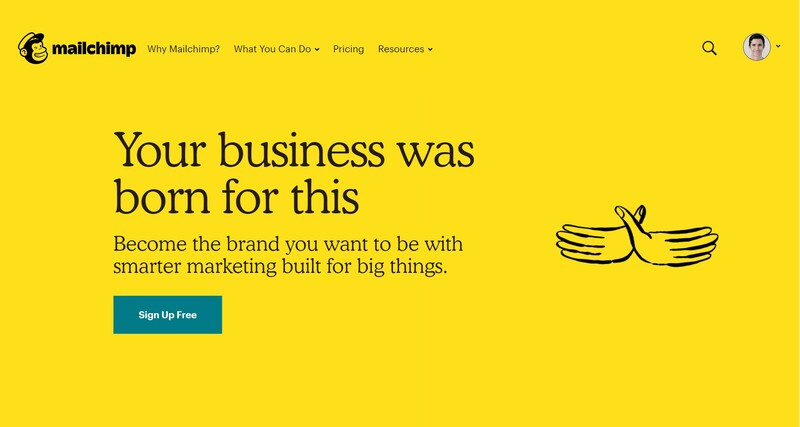 And perhaps the most enticing thing about Mailchimp, especially if you’re just getting started, is that Mailchimp offers a free plan. The free plan lets you have up to 2,000 subscribers and send up to 12,000 emails per month, which should be plenty at the beginning. From there, paid plans start at just $10 per month and go up based on the number of subscribers you have. All the paid plans let you send unlimited emails per month. Sendy has a unique approach to email marketing that might be able to save you a non-trivial amount of money, especially as you grow. See, with most of the other services, you sign up for an account at the service and then everything happens on that service’s servers. Now, that’s super convenient, don’t get me wrong. But you also pay for that convenience…there ain’t no such thing as a free lunch, right? Sendy flips that approach on its head, while still keeping things pretty convenient and beginner friendly. You pay a one-time fee for the Sendy software. Yes – no monthly subscription. You then take that software and host it on your own server – just like you would install WordPress on your server. From there, you can use the Sendy software on your own server to create emails/autoresponders, manage your list, view stats, etc. 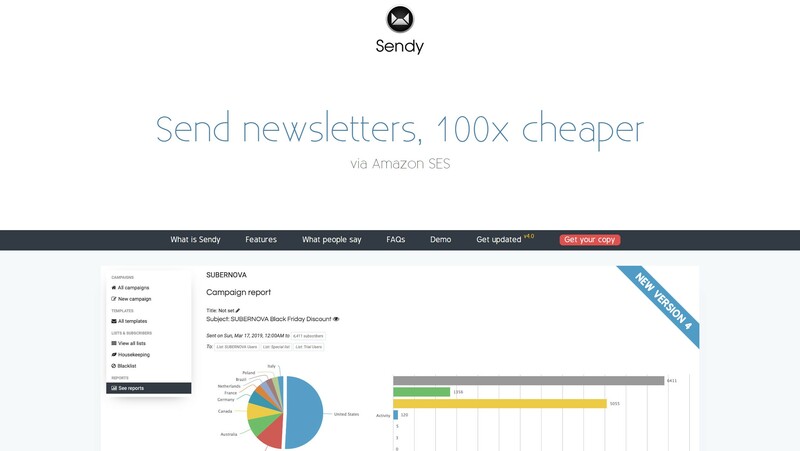 To actually send emails (and ensure they make it to people’s inboxes), Sendy connects you to the Amazon SES sending service, which lets you send emails for just $1 per 10,000 emails. The upshot is that the only ongoing fee is whatever you pay to Amazon SES based on your usage, which is a lot cheaper than using a hosted service. There’s also no cap on the size of your lists, whereas a lot of hosted services charge you more as your list grows. Sendy’s dashboard isn’t as “beautiful” as some of the hosted tools, but it’s totally functional and can handle most of what you throw at it when it comes to email newsletters. With that being said, if you want detailed marketing automation, you might prefer another tool, though Sendy is totally fine for basic autoresponders. All in all, if you’ve got that DIY spirit and want to save some money without losing out on functionality (for most use cases), Sendy is a great option. MailPoet is another unique email marketing tool in that it’s an email newsletter plugin for WordPress, rather than standalone email marketing software. The upshot here is that you’re able to send and manage your newsletters from right inside your WordPress dashboard, which is pretty dang convenient. 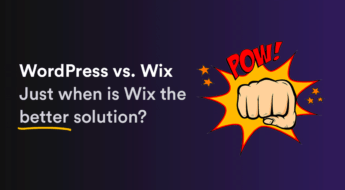 The other benefit here is that it’s easy to integrate native WordPress functionality into your newsletters. For example, you can set MailPoet up to automatically send out a digest of your latest posts, or to send a welcome series to new members at your WordPress site. You can certainly do that with other email marketing tools, but MailPoet makes it a bit simpler because it’s already integrated into WordPress. 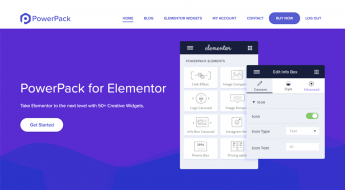 Drag-and-drop builder and templates – design your emails using drag-and-drop, with the option to start from pre-built templates. Opt-in forms – create forms to grow your list. 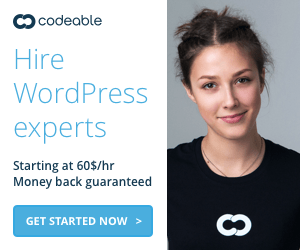 List management – manage your subscribers right from WordPress. Analytics – view important details for clicks, opens, unsubscribes. Paid feature. Additionally, MailPoet can help with sending your emails. Or, you can also use your own web host (not recommended – your deliverability will be horrible) or a different third-party service (like Amazon SES). MailPoet has a free plan that lets you have up to 2,000 subscribers. You can pay a monthly fee to MailPoet to have MailPoet deliver emails for you. These plans start at $10 per month for up to 500 subscribers. ConvertKit is “email marketing made by creators, for creators.” Basically, that means it’s targeted a little more towards solopreneurs and bloggers than larger businesses. For example, Pat Flynn at Smart Passive Income uses ConvertKit – that’s the type of crowd ConvertKit is targeting. One area where it excels in comparison to the previous tools is email marketing automation. 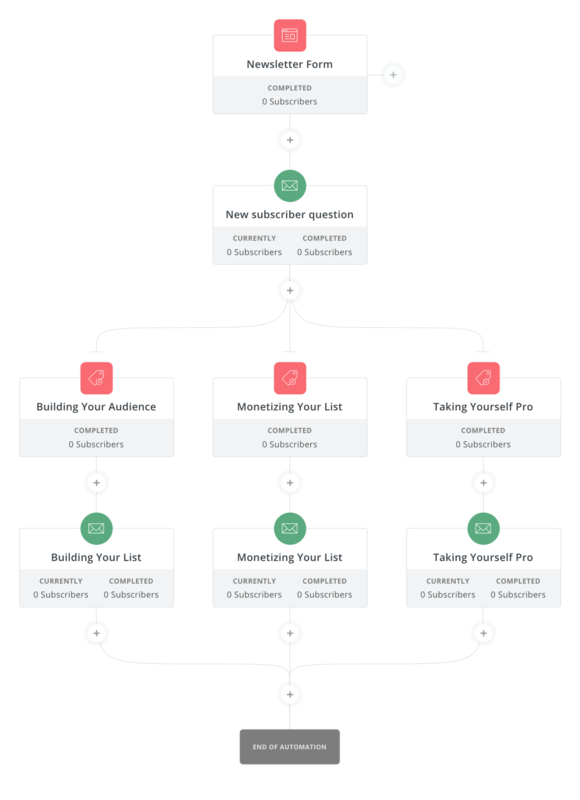 Beyond having a really detailed tagging system, ConvertKit gives you a visual automation flow builder that makes it about as simple as possible to set up detailed automation flows. Opt-in forms – grow your list without the need for a third-party tool (like OptinMonster). The forms look great, and you can even create content upgrades, popups, etc. Analytics – quickly analyze important data like opens, clicks, unsubscribes, etc. Easy tagging and segmentation – keep your subscribers organized. Dedicated WordPress plugin – this makes it easy to add opt-in forms to your WordPress site. ConvertKit does not have a free plan, though they do offer a 14-day free trial. You’ll pay based on the number of subscribers you have, and all the plans allow you to send an unlimited number of emails to those subscribers. Plans start at $29 per month for up to 1,000 subscribers. One unique thing about SendinBlue is its pricing. Most SaaS email marketing tools charge you by the number of subscribers you have – including Mailchimp, the monthly version of MailPoet, and ConvertKit. SendinBlue, on the other hand, lets you have unlimited subscribers and only charges you based on how many emails you send. If you have lots of subscribers, but you don’t send that many emails, this approach could save you money. Another unique thing is that SendinBlue has a detailed WordPress plugin that lets you manage pretty much everything from inside your WordPress dashboard. 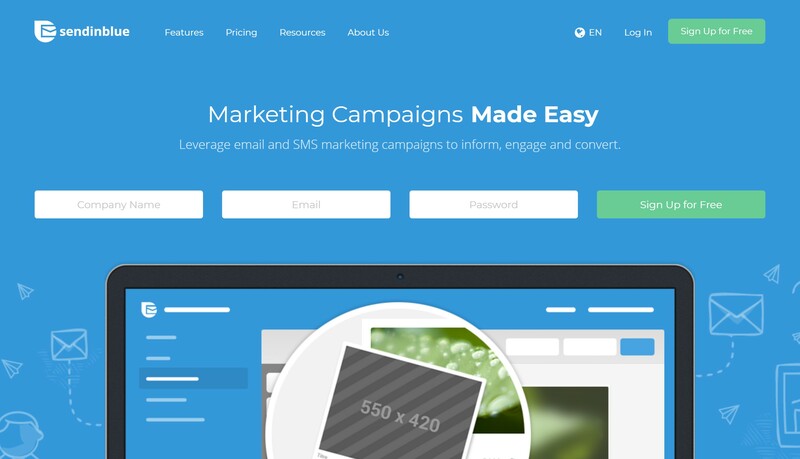 Drag-and-drop builder – create custom-looking emails without the need to know any HTML. Opt-in forms – create custom opt-in forms and popups to grow your list. 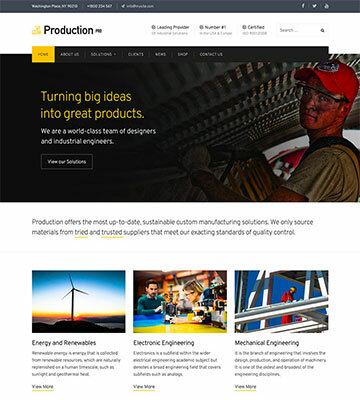 Automation builder – create your own automation workflows or choose from 8 pre-built automation templates (including abandoned cart emails). Analytics – view real-time statistics for clicks, opens, heatmaps, etc. SendinBlue has a limited free plan that lets you send up to 300 emails per day to unlimited subscribers. After that, paid plans start at $25 per month to let you send up to 40,000 emails per month to unlimited subscribers. Ok, if all you want to do is send some email newsletters to your subscribers, any one of these tools can get the job done. So – how do you pick the best email marketing tool for you? If you’re just getting started with email marketing and aren’t sure what you like or dislike yet, I’d say go with Mailchimp. It has a generous free plan and can handle most things you’ll throw at it. Additionally, because it’s so popular, there are lots of resources out there for it. 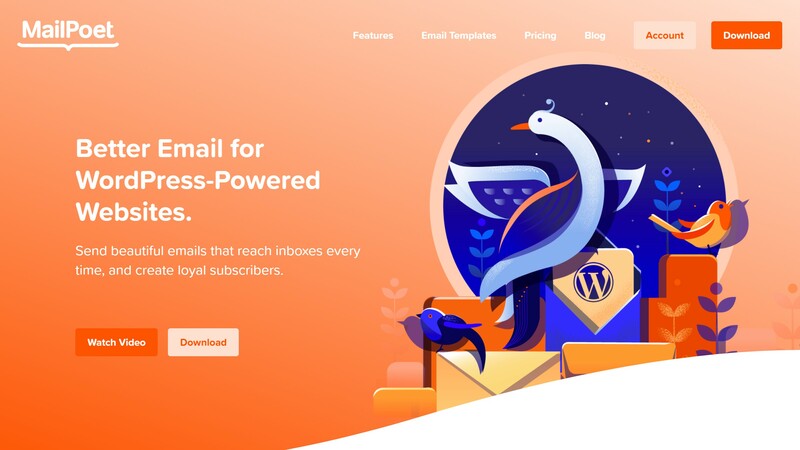 If you’re a WordPress user, MailPoet is also another tool that makes it easy to get started with email marketing and offers a free plan. 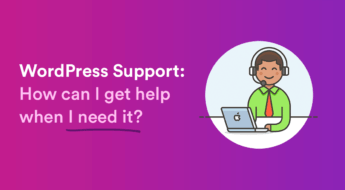 The benefit here is that you’ll be able to do everything from the same WordPress dashboard that you’re already familiar with. Sendy– you can self-host the Sendy software on your own host and then only pay Amazon SES for the actual number of emails you send. 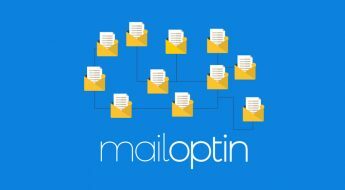 MailPoet– if you purchase the one-time premium version of MailPoet, you can connect it to your own sending service (like Amazon SES) and only pay for the emails that you send. 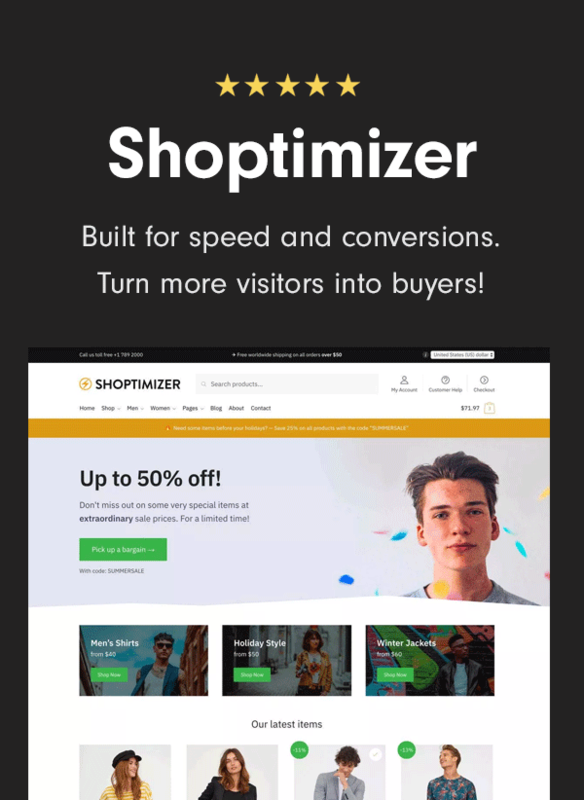 If you’re focused on email marketing automation, ConvertKit is probably the right tool for you, as it has a really nice email automation flow builder. Last but not least, SendinBlue has a couple of nice things going for it in the form of its unique pricing structure and a great WordPress plugin. Like Mailchimp, it can do a little bit of everything and it also offers a free plan to get you started. Do you have any questions about the best email marketing tools? Ask away in the comments!